They are the newest memebers of our team. Help us by welcoming them to the practice! Carly joined our clinical team and Hannah joined our front office. Stay tuned for their bios coming soon. For now, here is an awesome picture of them and their families! Thornton Smile Goes to American Idol!! He has a talent, and a smile, the rest of America should see!! Our practice is going to be going through some exciting changes next week and Dr. Thornton wanted to bring you into the loop! We will be upgrading the software program used to organize the practice. The new system will help us access patient information quicker and with an even higher level of security. We have been working hard the past few months to prep for this transition. Our goal has been to ensure the changes happen smoothly without effecting the high level of patient care that our team pride ourselves on. One aspect that will be changing, will be the way the system organizes Dr. Thornton's schedule. When our current schedule is converted, the software will slightly alter current appointments to fit the new scheduling parameters. The appointment reminders that are sent will likely be slightly different than what was previously reserved, by 5-15 minutes. To minimize scheduling delays when you come in next, PLEASE PLAN TO USE THE NEW APPOINTMENT TIMES GIVEN IN YOUR REMINDER. If that time overlaps with another commitment, please call us as soon as you are able to find a time that does work for you. Above all, thank you in advance for your patience while we work to make this change successful. We are always striving to improve patient care, so thank you for baring with us. Our annual pool party is almost here. Get excited to swim and play on an obstacle course. Be sure to enter Dr. Thornton’s raffle drawings. There are a TONS of cool prizes. Let us know you're coming by emailing or by responding to the evite or call us. Setting things straight since 2008! Congratulations to Dr. Thornton and his smiling team! 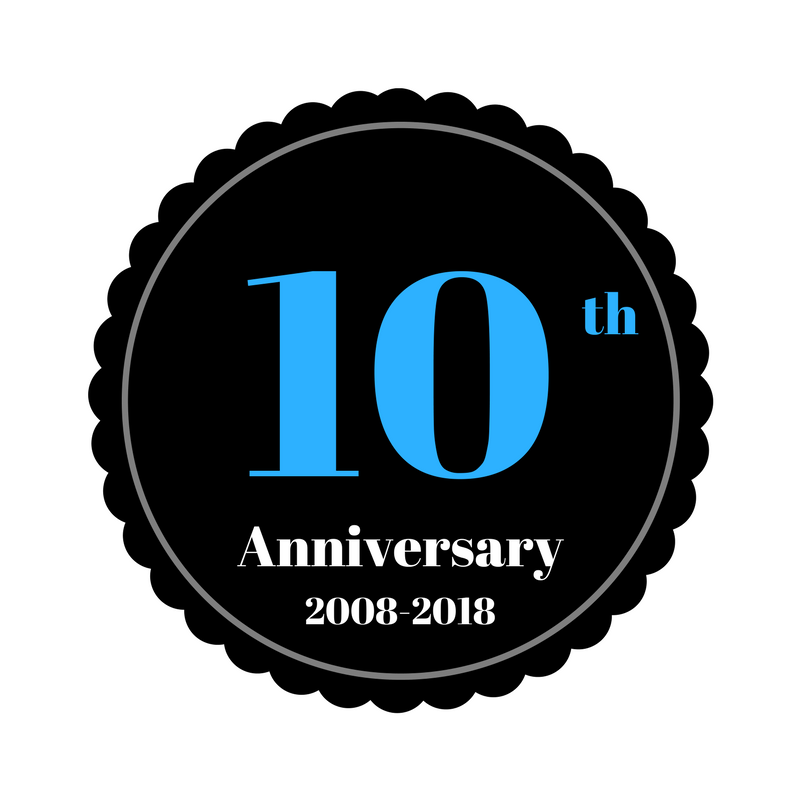 Here is to 10 wonderful years in practice! "It is our pleasure to offer the best care possible to our friends and families. 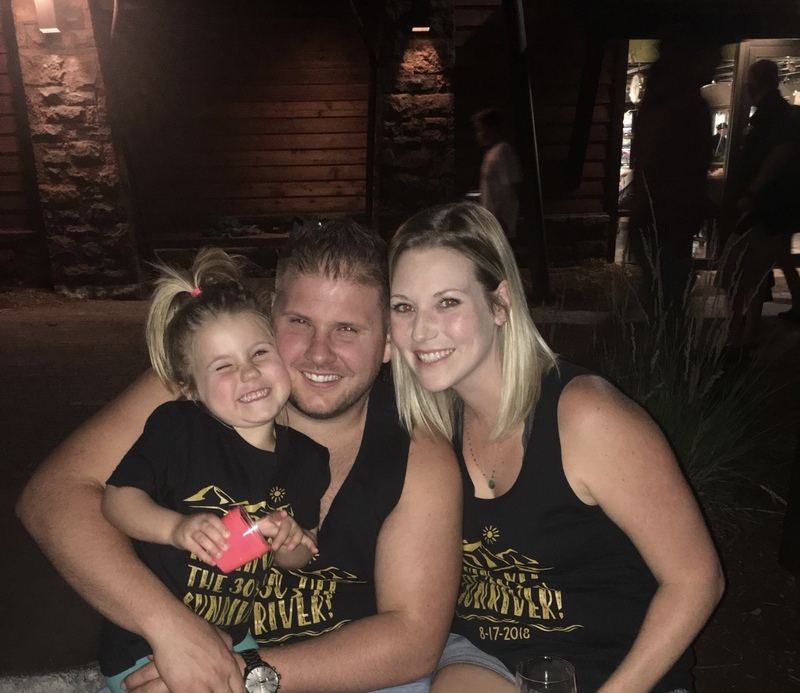 We believe everyone deserves a great smile! 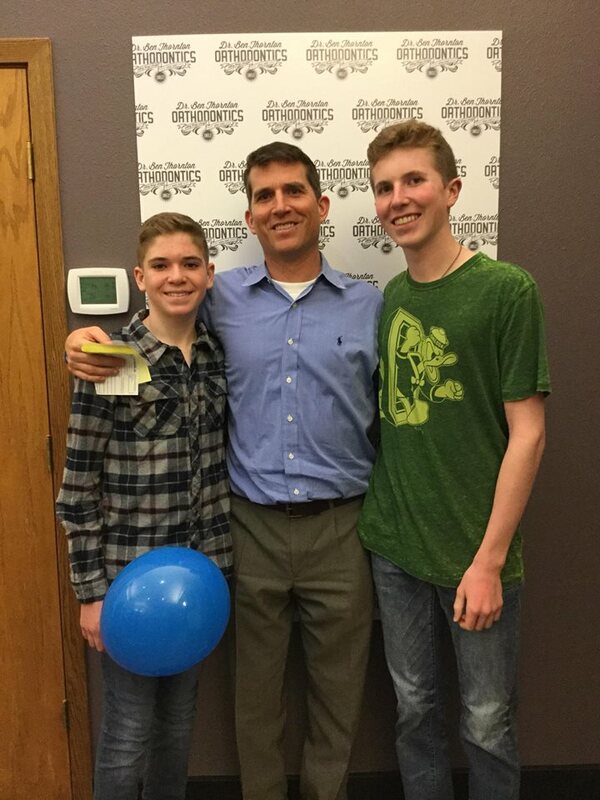 Braces are off for the Thornton Boys! Our second annual March Madness contest is here to ramp up the stakes. We have selected 30 of our closest referring offices to make their best predictions this years competing basketball team. Brackets will be delivered this upcoming Monday. The inviation is open to all of the office's team members, so we hope to see lots of brackets pouring in. 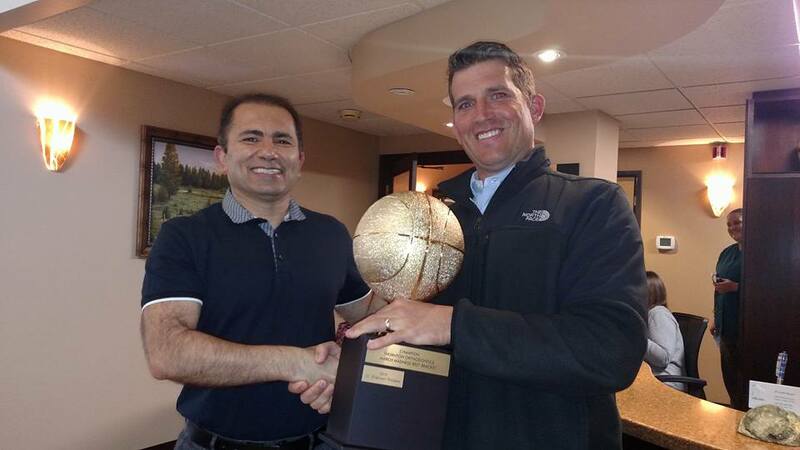 Above is a picture of last year's winner, Dr. Shahram Rezaee. We can't wait to see who will take the trophy home this year. It's a new year and you may have new changes to your insurance. Please make sure you keep current dental insurance info with us, so we can help prevent any lapse in your benefits. Most orthodontic insurances do not pay their full benefit at the start of treatment, so changes with your plan during treatment, may effect your total benefit paid. As always, if you have any questions relating to insurance before, during or after treatment, we are here to help. 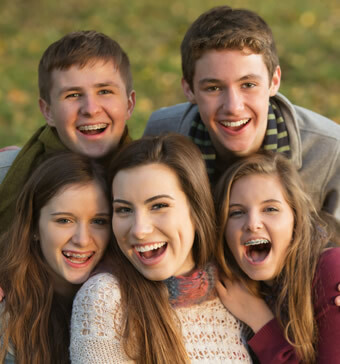 Navigating orthodontic benefits can be confusing, so we want to make it as easy as possible for you. Help us help you! Hi all! After several requests for our office Christmas card, we ran out of cards, so we decided to share our team photo online instead. We think this year's pic came out especially nice. The 10th times must have been the charm. We hope everyone has a very merry and safe holiday season. What a season! So many highs and lows, but we love our Ducks. Our team will always be devoted to cheering on Eugene's home team, during wins and losses. In fact we will continue to wear our Duck Gear every Thursday to show our pride. We also love when our patients join in our spirit by getting Duck Braces. Check out our Facebook page to see all the our cool peeps in our flock. Despite the rough game against Standford, here is a photo of a great big grin on our sponsored Smile Cam. SKO DUCKS!! Candy Buy Back is Coming! You can turn your hard earned Halloween candy into hard earned cash! Dr. Thornton is hosting our Annual Candy Buy Back on November 2nd from 4:30 to 6:00 to help the families in our practice stay away from those tempting treats. We'll trade you a $1 for each pound of candy you bring in. There will be hot apple cider and cookies to enjoy when you come in. We would love to see everyone's great Halloween costumes, so come dressed ready to impress. What are we going to do with all that candy? Great question! Although we would love to eat all those sweets, we want to make sure they finds a deserving home, so we will be sending it to our hard working service men oversees. We are very honored and proud of our partnership with the University of Oregon Athletics Department. 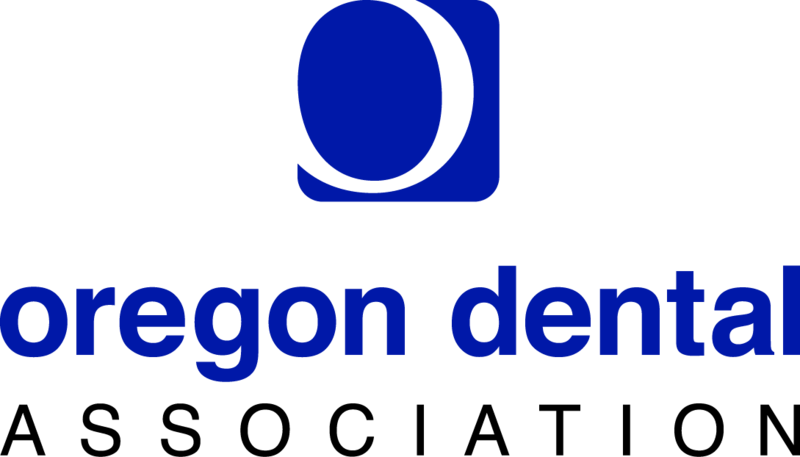 As the Official Smile Provider for the Oregon Ducks, we offer braces unique and exclusive to this part of the state. Brought to you by our long-time partner WildSmiles®, mascot braces are a trending topic across the U.S.. Our customized Oregon “O” braces allow Duck fans to show-off their pride and rep their team wherever they go! Our partnership with the Ducks not only means you will see our brand at Oregon Athletic events, you’ll also be able to come and meet our staff at select games as well! Stay tuned to find out when we’ll be running our annual tabling event during this basketball season and don’t forget to show us how you #SmileLikeADuck! Our Satellite Office in Creswell is Now Open! Right now is an exciting time for our practice! Our new Creswell Satellite Office is now open and running in full force. 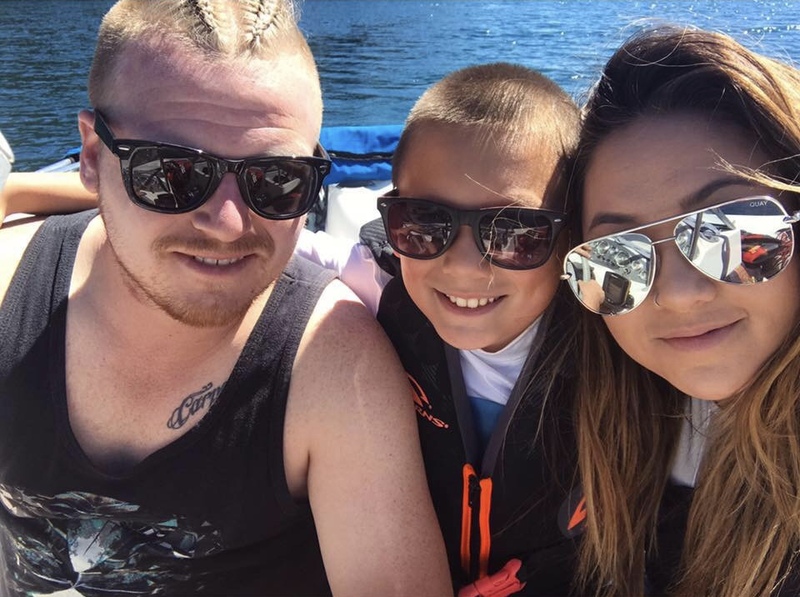 To bring convenience to our patients traveling from outside of Eugene, once a month our team will be serving the Creswell community in their town to help broaden our reach and expand our services to surrounding neighborhoods. Give us a call to see if this may be the better option for you! Safely move your teeth up to 50% faster! 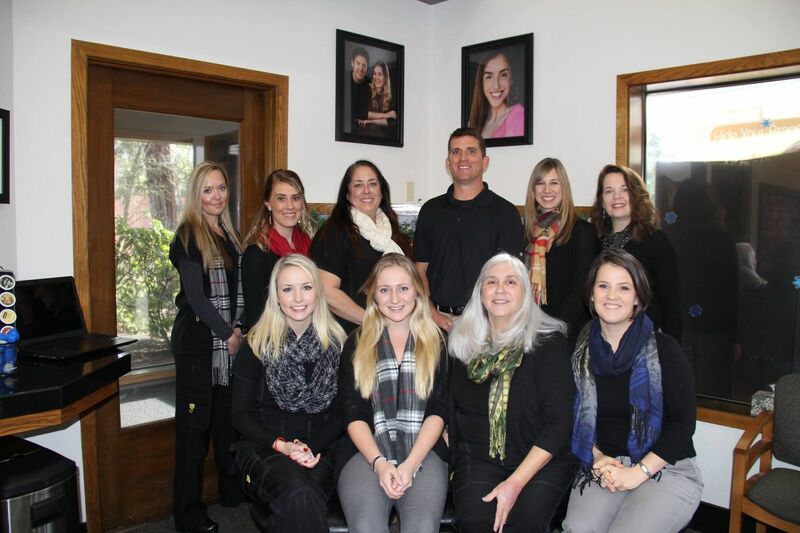 Dr. Thornton and our team always strive to finish orthodontic treatment as quickly and safely as possible. With that goal in mind, we began offering a new technology to accelerate treatment. AcceleDent® is an FDA-approved orthodontic appliance that uses gentle pulse-like forces to accelerate tooth movement. It is a technology that has been used in bone-healing applications since the 1980s, but has more recently been applied to orthodontics. We have treated several patients using traditional braces and Invisalign with the technology and have been amazed how easy, comfortable, and effective we have found it to be. Check it out http://acceledent.com/ or ask us about it today! What a great experience getting to meet hundreds of brides and showcase what Thornton Orthodontics is all about! We made an amazing booth, our staff was great, and overall it was a great time with excellent exposure. Invisalign® was a main focus because we knew the clear aligners would be a big hit among soon-to-be brides. We walked away feeling great about the experience, and better yet, knowing that our products and our treatment serve a larger community of brides. We are so excited to announce that Dr. Thornton decided to invest in the latest technology: an iTero scanner. iTero will enable us to take a 3D digital scan of a patient’s teeth and bite, make adjustments in real time, and transmit the file wirelessly for processing. NO MORE IMPRESSIONS!